Our earth is an evolving living form. She is encoded with the capacity to cleanse away all that causes her dis-ease. We the Human who have the ears to hear and courage to change must listen to her voice or we will not survive the coming changes. 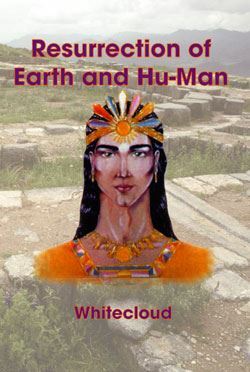 This booklet written at the request of the Ascended Masters Lord Meru and Mu, is for the Hu-man voices for change, voices for peace. As spiritual beings we are intrinsically unequivocally interconnected to all consciousness, all life, all existence. We who are Hu-man know that we co-exist as co-creators in our existence. What I wish to convey in as few words as possible is how utterly important to our ongoing survival this conscious co-existence is.